Home›Golf News›WOW! The TaylorMade staff bags for The Masters are stunning! WOW! 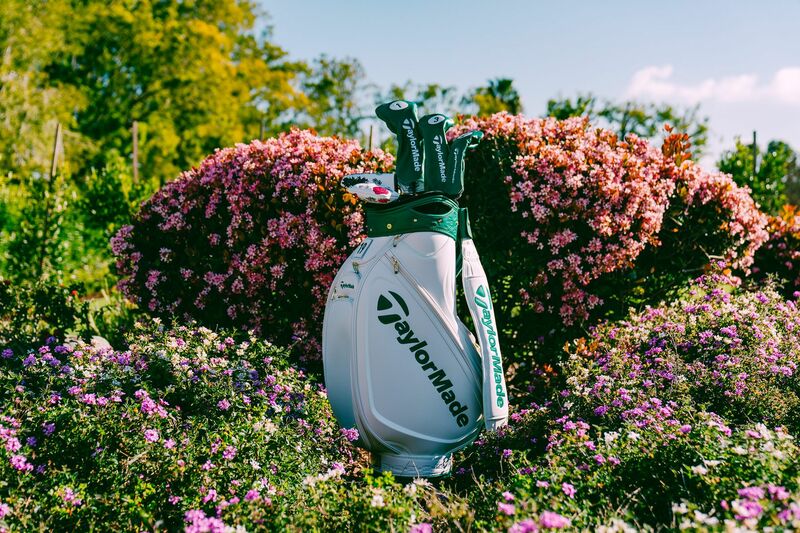 The TaylorMade staff bags for The Masters are stunning! Got Masters fever yet? We have. In a big, big way. The first men's major championship of the season takes place at Augusta National next week and it is as keenly anticipated as ever. The event is full of great traditions. From the Champions Dinner on the Tuesday night, to the Par-3 Tournament on the Wednesday, to the ceremonial tee shots struck by Jack Nicklaus and Gary Player, the tournament is, quite simply, an event unlike any other. One of the more recent traditions is the reveal of the commemorative edition TaylorMade staff bags - and this year's offering might just be the best yet. Inspired by the iconic white jumpsuits worn by caddies at Augusta National, the bag features a clean white body with accents in unmistakable Masters green. It also incorporates distinctive floral patterns on the interior lining, representing the "rich tradition" of the event. Each bag also includes a Velcro brand hook and loop fastener patch to customise each bag with the number assigned to the player’s caddie at tournament registration. Look closely at the bag’s crown and you’ll notice 18 debossed flower designs representing the name of all 18 holes on the golf course, in addition to the floral lining. The bag is completed a gold plate at the base. Rory McIlroy, Jason Day and Dustin Johnson will be amongst those using the bags next week.